Generally, expect vehicles to become lighter and engines to be more efficient as the emphasis shifts towards fuel economy. Expect handling to be generally good from overall better design. Resistance to motion will continue to drop. In-car entertainment will continue to improve (something to do while stuck in traffic). A shift towards economy means we’ll be keeping the car emptier (to keep weight down and consumption good). Emission figures will be better than 100 [g per km; equivalent to 64mpg for petrol and 74mpg for diesel vehicles] (tech radar, see foot). Of course you’ll have wifi, not just for radio, but traffic avoidance, toll charges, locating charging points). Of course the car will collect all sorts of information (and imagine the price to make it not provide that to others). Collision avoidance will continue to improve (cameras, sensors) and/but this will surrender more driving to the auto(matics). Indeed, many predict the autonomous car to be the future. Even less fun to driving, then – maybe this is what it will take to make us do self-powered movement again? Question: what is the cost of a re-charge? Charging an electric car is seriously cheap at the moment of writing. For a typical pure electric car charged from flat to full, the cost could be as little as £0.96p depending on tariff, but it's very unlikely to be more than £3.40. And that's for 100 miles range. 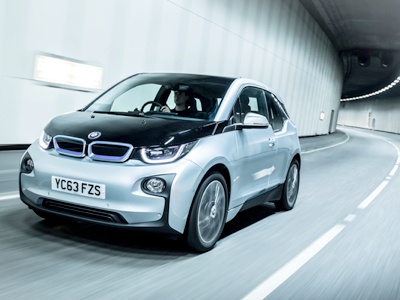 DoT financial support for chargers stopped April 2014/ A typical electric car is around £8k more, but UK.gov gives you £5k grant and help to install a charger at home. Bad news though is that putting the charging services out to tender produced £7.50 for a half-hour ‘rapid’ charge. That works out as equivalent to £5.85 per gallon at 50 mpg [DJS, based on content]. This is penalty charging; the cost of charging at home is more like “2p per mile” (£1 per gallon on 50mpg) provided you don’t count the cot of the charging unit. I see that such a figure doesn’t agree with those up the page, but it gives a basis for comparison. More extreme would be paying a fee for transport when you need it. Not unlike the Bristol zipcar service where you hire a car locally, once driverless cars are accepted, you’d use it like a cab service and summon a vehicle. You would not necessarily own your own (so to speak). That presupposes that commuting also diminishes for a segment of the population. This too has been long predicted by sci-fi writers. 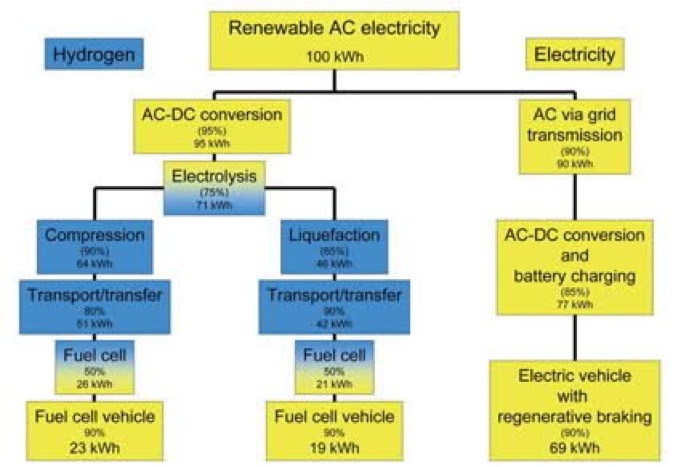 So your next car is likely to be a hybrid – two power sources. Next I’ll look at other alternatives. Mike O’N pointed out that: There's clearly a medium term arbitrage running an electric car as most transport tax is in fuel consumption which you won't see. This will need to change at some point as fuel duty is such a significant income generator. Two certainties in life: Death and taxes. Of course he’s right. Right now it is attractive; before it is the norm ‘we’ will be charged for having changed. E-tron A3 1.4 diesel turbo plus electric and flywheel. FWD. 0-60 in 7.9. electric range 30mi but charging via plug [2:15 ; 4:00]1, brake regen(eration of energy) and coasting. From £30k; ~90mpg (?). best electric car 2015. extra weight 125kg. Possible range 584 miles. Attractive proposition. I decided I couldn’t justify the expense. Audi promise an electric hybrid Q7 2015/6. i8 1.5l 3-cylinder petrol turbo. plus electric and flywheel. FWD. 0-60 in 4.5. electric range 22mi but charging via plug, brake regen and coasting. From £100k. >100mpg Modes: Comfort, Eco Pro, Sport. Butterfly doors. 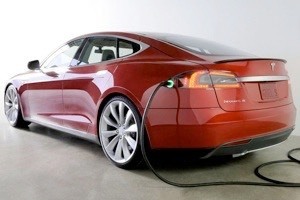 Tesla Model S all-electric, front and rear driven separately (dual motor all-wheel). 85kWh. 0-60 in 4.2 secs (the middle model). Self-parking. Top Gear S12e7 Hammond’s review 201407. 80kWh battery at best (=> a range of 300 miles). Charge under an hour (like while having a meal, if the charge point was available). £50-83k depending on model. 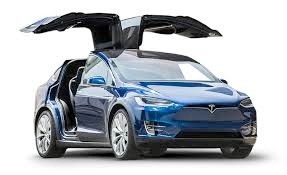 Tesla Model X. SUV Dual Motor All Wheel Drive and brilliantly functional Falcon Wing Doors. These doors fold up and out of the way allowing easy access to the third row seat, even from the narrowest of parking spaces. 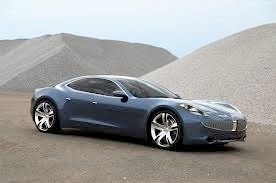 My original note to myself (an auto-note, note) mentioned the Fisker, which I omitted. The Karma is a £72,000 hybrid 2 litre petrol turbo. Luxury. 50 miles on battery. 0-60 in 5.9 using both power sources. A heavy car, but drives lightly. Production stopped in 2012. a b c Company now offering the Thunderbolt, (right) based on the idea of an Aston Vanquish: probably a limited edition model. 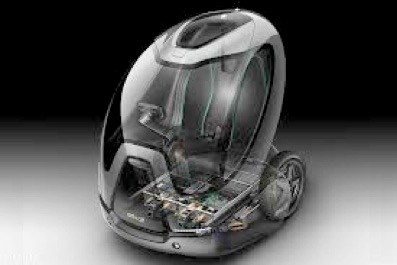 3 http://www.motortrend.com/future/future_vehicles/1405_future_cars_2015_and_beyond/#__federated=1 useless for this purpose. http://arstechnica.com/civis/viewtopic.php?f=2&t=1248431&start=80 from ScifiGeek, here’s where we can use 100kWh. of course, we don’t make that efficiently.